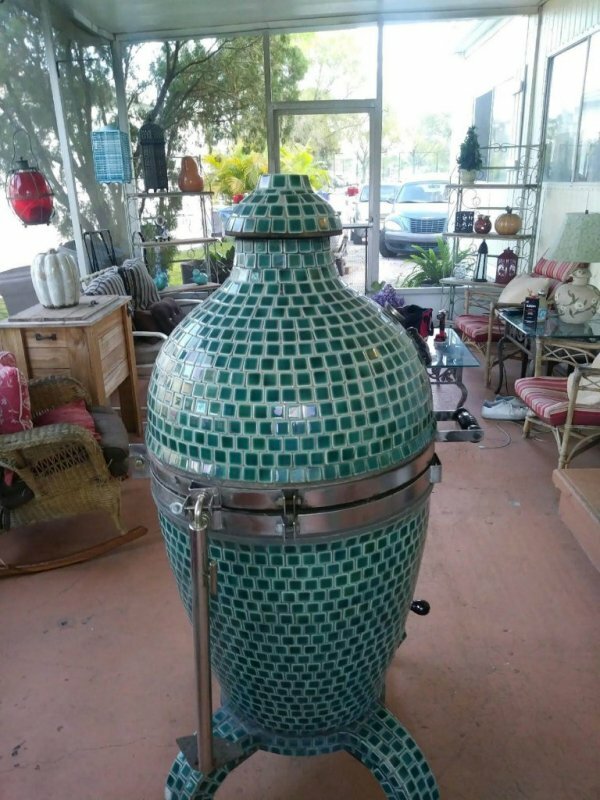 is it easy to remove the lid on one of these for easy transportation? I would say it would definitely be safe to have at least one friend to help.. It's heavy. Putting it back on can be a bit of a challenge, too. 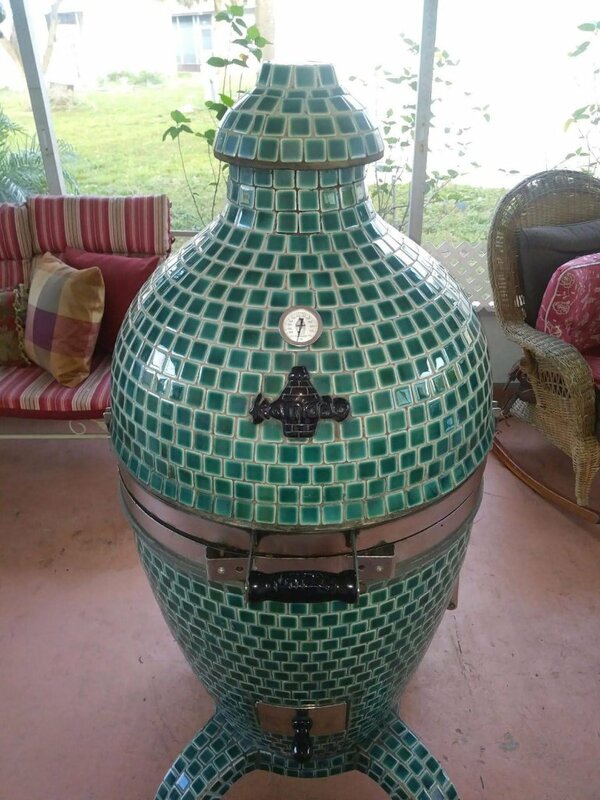 I just purchased this Kamado a few days ago from a guy here in Florida. I only paid $375 and based on my initial inspection of the unit, it appeared to be in pretty good condition. He said he purchased it new in 2004. 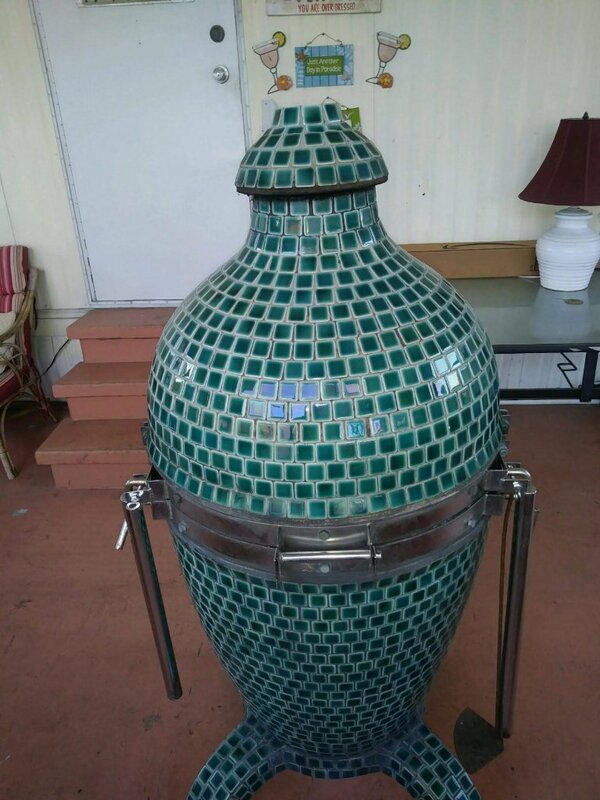 There were a couple of tiles missing on the base near the casters, and we lost two more in transit (all on the bottom cart area) but over all it is in pretty good condition. 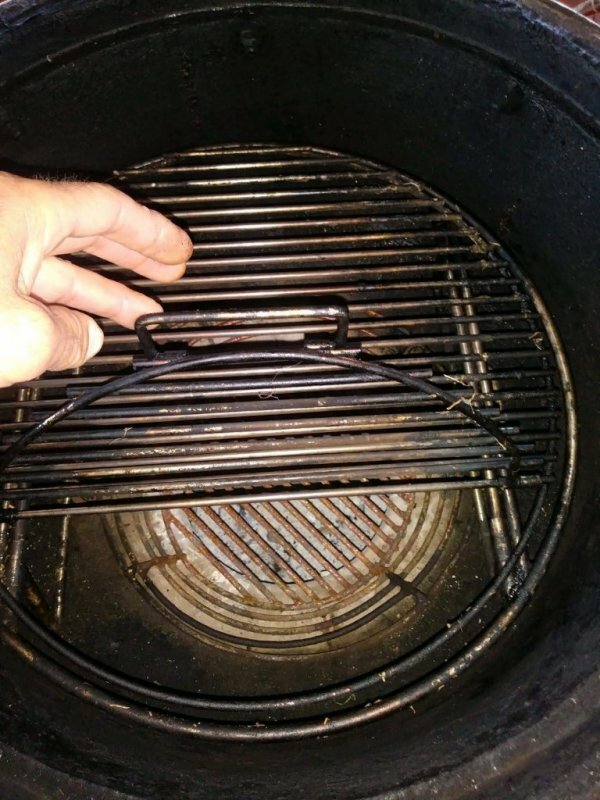 He said he only used it about 30 times because after purchasing it his wife decided she didn't like smoked meat/food, so he only cooked for himself or family/friends when they came over. He finally got sick of it just sitting there not being used. 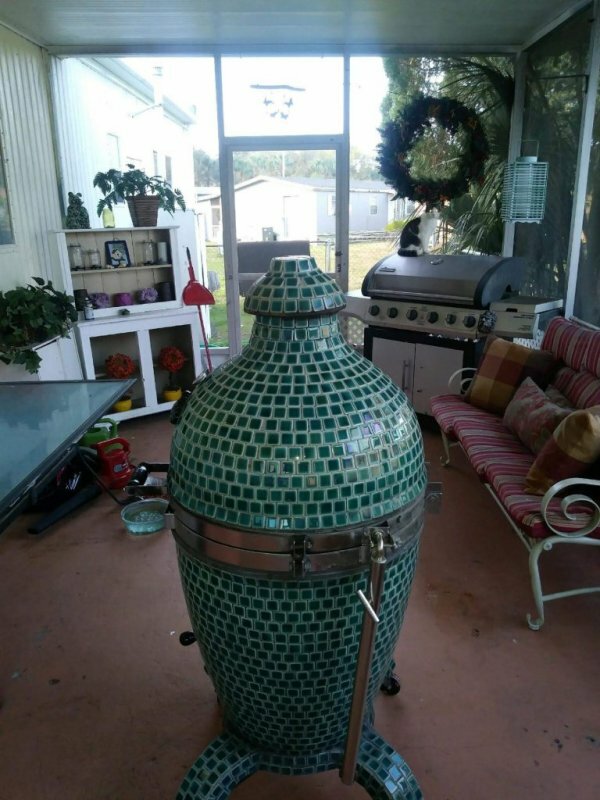 My wife and I live in an apartment right now but are in the process of purchasing our home so I have it over there right because I only wanted to move this beast once. I'm hoping I can get over there sometime this weekend to take some better pictures of it out in the sun. Any advice, suggestions, or general input is welcomed and greatly appreciated! I've been reading through this forum and the work you all have done is nothing short of spectacular! Looks awesome! Post some follow-up cooks from it. propping the lid open an inch or so to heat the dome and top hat / threaded rod assembly. > The bottom vent only has to be opened about equal to the thickness of one or two credit cards. The top vent only needs a few turns to get sufficient air flow. > It looks like you have the upper bracket and grill which will give you plenty of capacity. 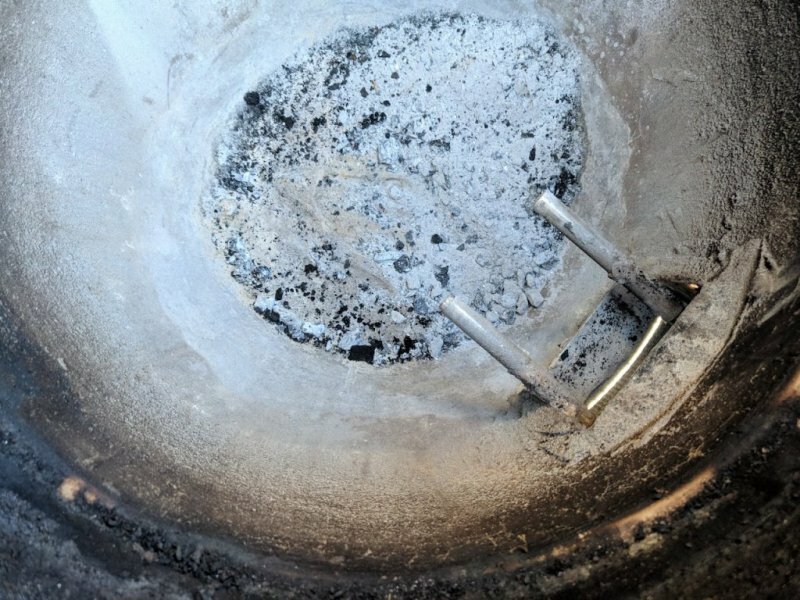 fabricating a bracket and adding a heat deflector for low and slow and other indirect cooking. > If you have a few tiles missing and need to replace them, check with a tile store that sells pool tiles. You may have to check on the web if you can't find anything locally. and cooking at higher temps is like working in a blast furnace. JMO! may be a resource for parts, tiles, etc. 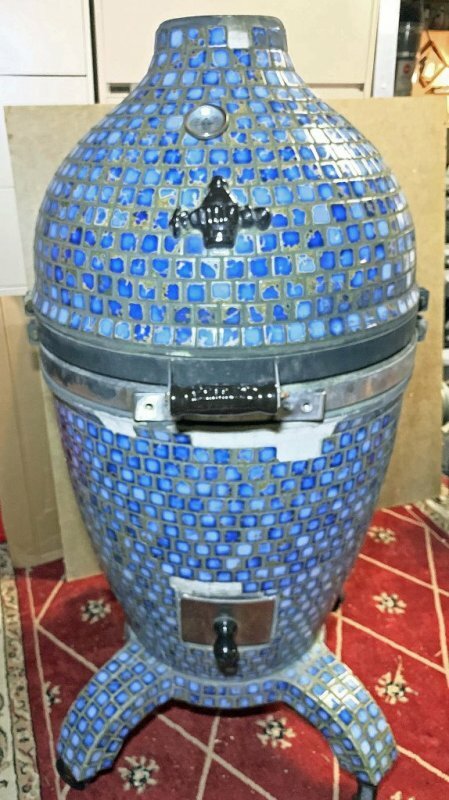 So, Welcome to the Kamado Family! You will love using it and the food that comes off of it. Thank you philpom and Jebber! I definitely will post something as soon as I do. 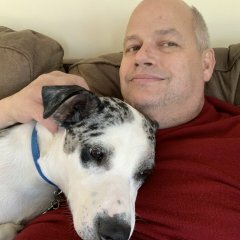 K_sqrd - Thank you very much for tips, and warm welcome! That is very helpful! I'm going to hopefully get in over there this week or next to smoke something on it. I think I'll do something relatively easy to start just so I can get the hang of it first. I'm coming from a pellet smoker (which I still have) and that thing is very forgiving. If I'm understanding, you don't really need to open the top or bottom vents hardly at all to get good airflow correct? I have all but one tile so I should be able to get most of them back on. I'll leave that one for the back of the cart where no one will see it until I can get another tile. Maybe I'll go to a couple places this weekend while I have them off so I can get an accurate comparison. Being down here in Florida, there's no shortage of pool supply places lol. When I was inquiring before buying it, the owner actually bought up the temperature as well. 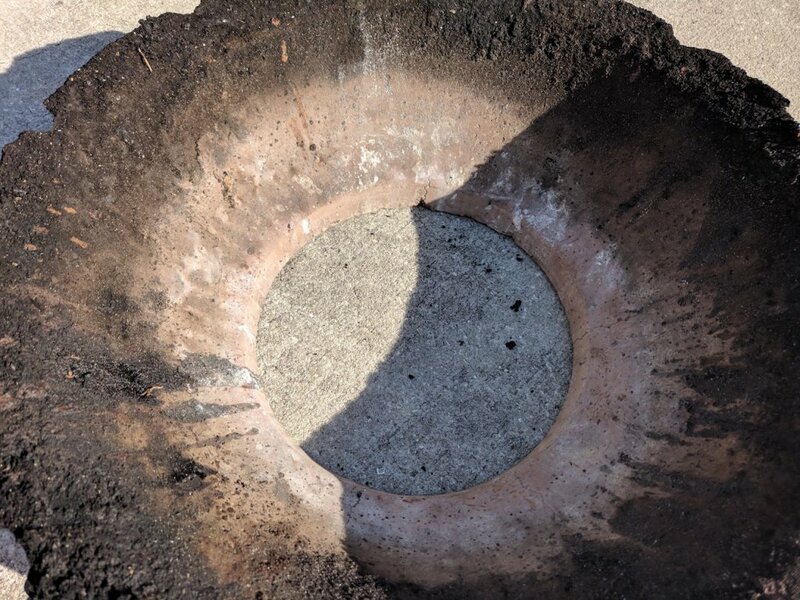 He said he only had it over 400 degrees F. once and kept the majority of his smoking/grilling to 250-300 degrees F.
I was hoping to get over there last weekend to mess around with it but we just had a lot going on, so peeling away from the wife wasn't happening ha-ha. "If I'm understanding, you don't really need to open the top or bottom vents hardly at all to get good airflow correct?" skewer higher than fully closed. 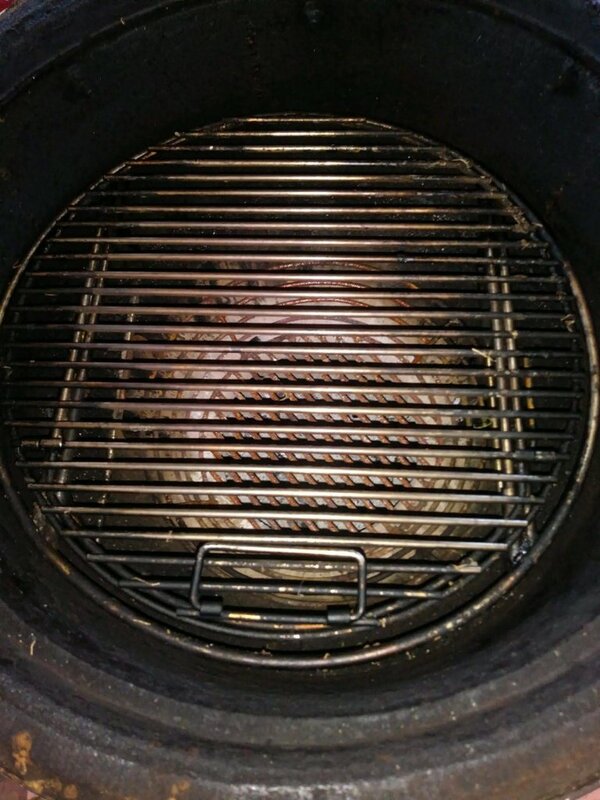 Doing so allows the temp to creep up to the desired cooking temp without overshooting. Just about all my cooks are done in the 225 to 375 deg. range and these settings seem to work well. on top of it to collect drippings and put the meat on low rack in the pan or use the extended rack over the pan. When you put the meat on, you will probably see a temp drop but don't worry about it. It is because the meat is cold. Kamado's "personality" but it's not difficult. so you should feel right at home here. Good Luck. I'm guessing that's why it is in such good shape and only a few tiles have popped off over the years. 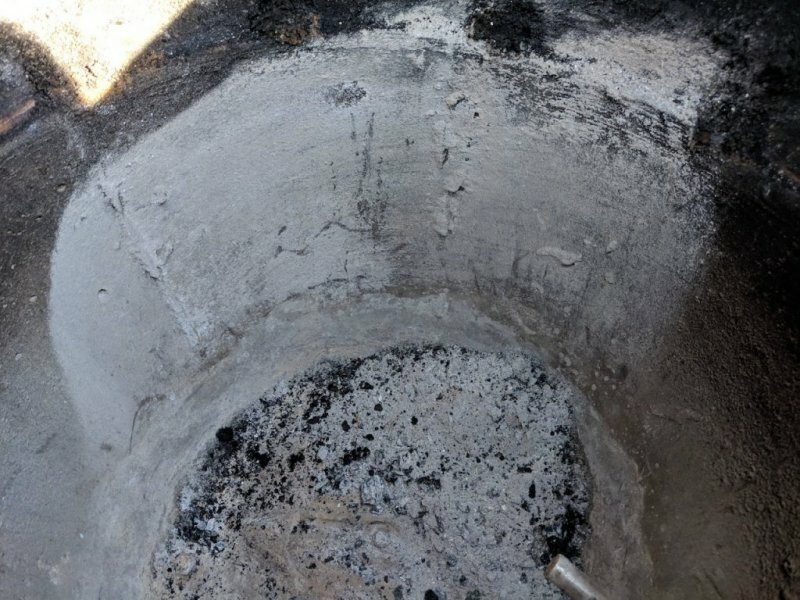 Addertooth's post suggested use of this thread for others planning to restore a Kamado cooker. I don't know that I can add any restore information beyond what's already covered here, but I'll post some pictures of what I'm starting with and share my progress as I restore the cooker. It might be a little slow, as I'm also remodeling a bathroom, and my wife's priorities would lean in that direction. 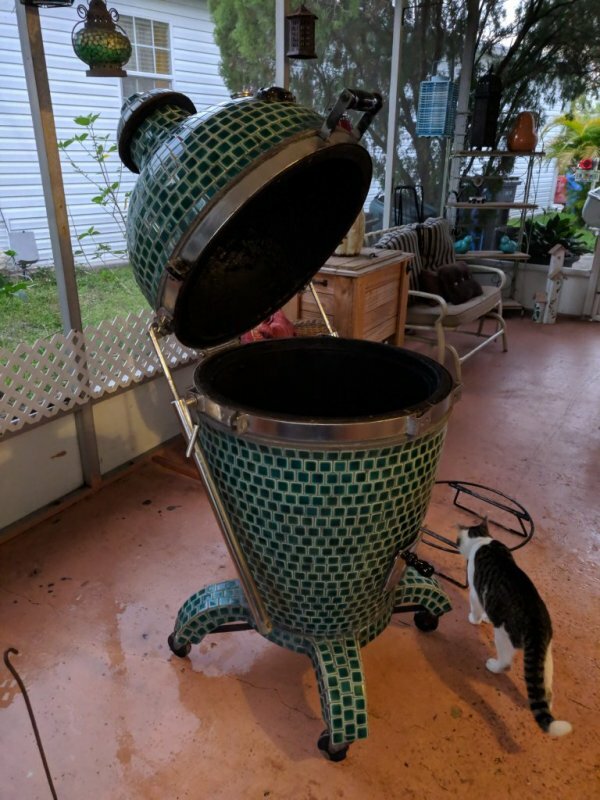 Anyway, a friend of mine saw a ceramic cooker on the side of the road with a free sign, so he loaded it up (with a little help) and took it home. He grilled on it a few times, but didn't really need this beast for grilling (he has a Weber kettle). 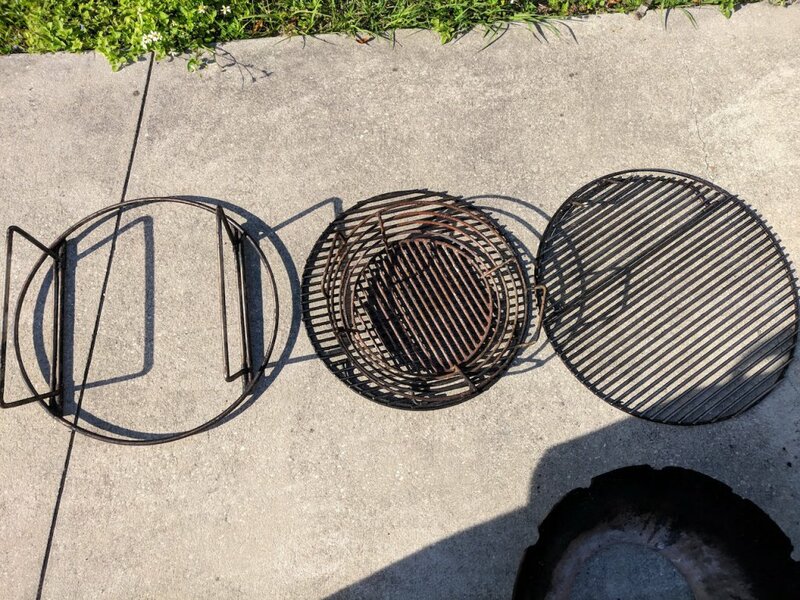 He knows I love to BBQ, so he offered it to give it to me (and deliver). It needs some repairs, but I figured it's something I could handle. 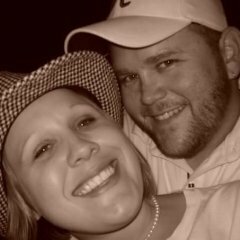 Here are some pictures of what I'm starting with. The biggest issue is the damaged top. I have the chunks that broke away, so I should be able to repair it. I'll be contacting Galaxy Outdoor soon to order a new spider kit. I'm not sure about cracks yet, but I'll get it cleaned up soon to see what it looks like. Well, yesterday was finally the day! My friend and his brothers were over at the house with their families, along with my wife and son so we figured it was a perfect day to break her in. 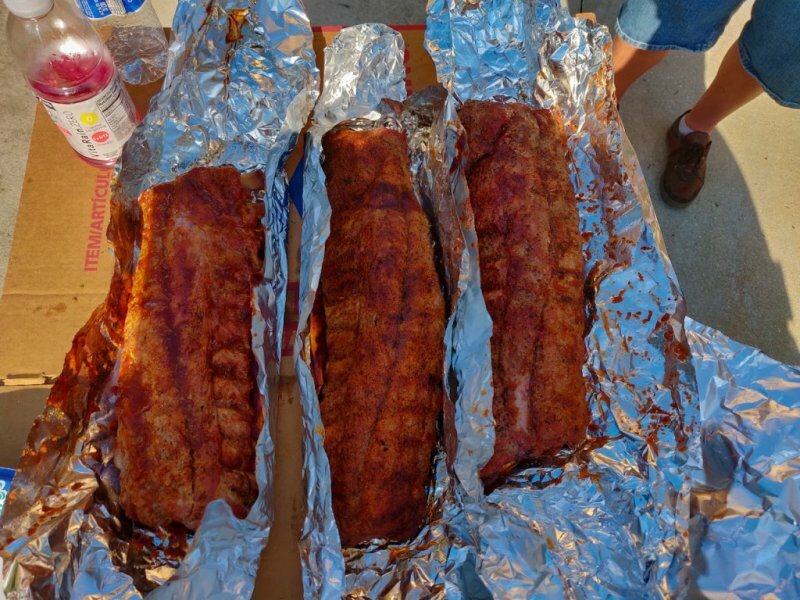 Ended up doing three racks of ribs and they came out great. K_sqrd - Thank you very much for the tips my friend, they worked perfectly. I ended up using some hickory lump charcoal with a couple of cherry wood chunks. I got it up to around 250 then locked it in and it barely moved up or down a few degrees after that. Coming from my pellet smoker there were a couple of things I noticed right off the bat. 1. 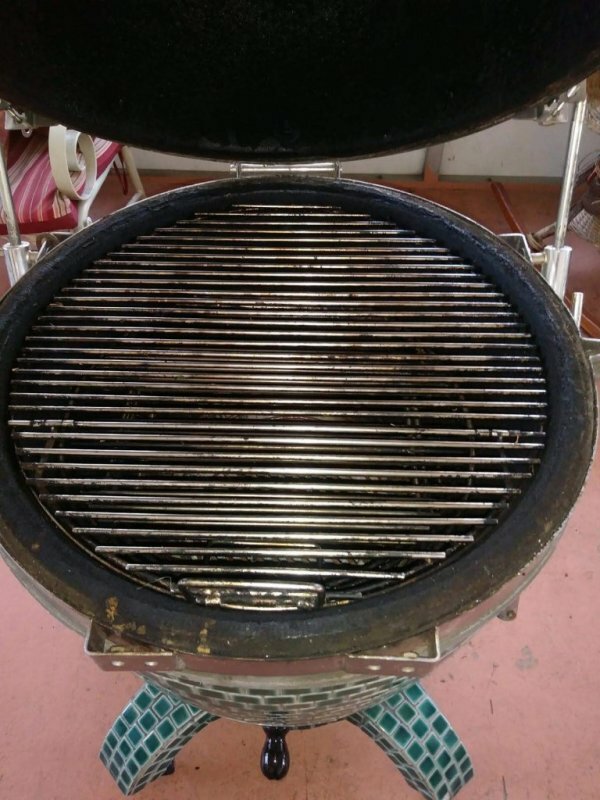 This smoker is very efficient. 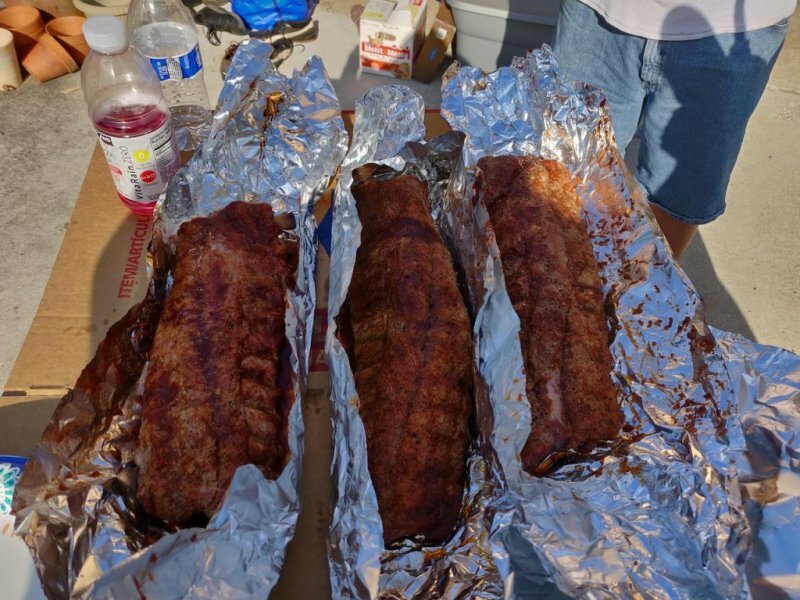 We started these ribs at 2 pm and they were done by 5:30 pm. I monitored temps the entire time because I was so nervous about messing them up. 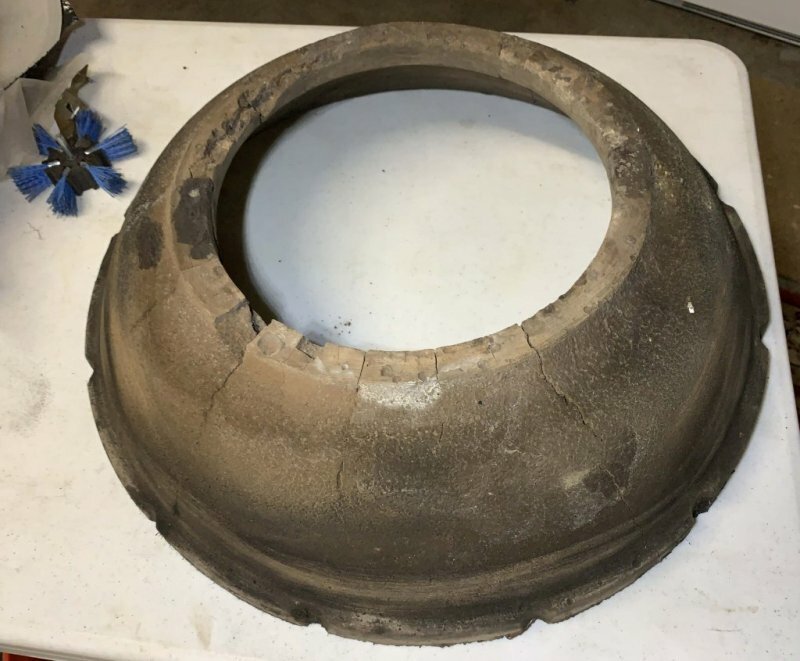 I checked with the previous owner about a head deflector and he said he never purchased one. I was going to use an aluminium pan filled with water but remembered that I had a ceramic pizza stone so we used that and it worked perfectly. After really getting to look at this thing in the bright Florida sun, I did notice a couple of other little things Not really too concerned now, but will definitely have to keep an eye on them. In the first picture, you'll notice the six tiles dead center right below the top look a little different. Those have been repaired, or at least look that way. Not too big of a deal, I'll just have to keep an eye on it. The interior doesn't look bad at all so I'm happy about that, but the firebox definitely has some cracking. I'm going to leave it alone for as long as possible but I think I'm eventually going to have to replace it with something. Everything else looks to be in fairly good shape. Steve1Ski - I can't wait to see what you do with that thing! I love the blue! I'm hoping as summer approaches to get a lot more cooks on it! It's a smoker, but definitely a conversation piece as well. I've had people already offering to buy it. Can't do it, this is too unique to just sell off.